Enjoy a family dinner at the brand-new Oasis Kitchen and Bar. Our on-site restaurant features indoor and outdoor seating and a new and improved menu of delectable offerings. Younger guests will love our Kid’s Menu designed just for them with some kid favorites such as our secret recipe Mac & Cheese and delicious Popcorn Chicken. Our new menu includes Specialty Burgers, Fresh Salads, Pasta, Fajitas and other options your taste buds will thank you for ordering. Know exactly what you want? Build your own burger, choose from an array of options to put together your perfect burger. Don’t forget the drinks! Order one of our delicious specialty drinks from the bar such as the Oasis Margarita, Desert Sunset, or Classic Mai Tai. Finish off your meal with one of our Hand Scooped Shakes or grab a slice of our chef-perfected Peanut Butter Pie. Kids will also enjoy a scoop of ice cream or Ice Cream Sundae. Don’t miss the big game during your vacation! Our bar is fully stocked and our TVs are big screen. 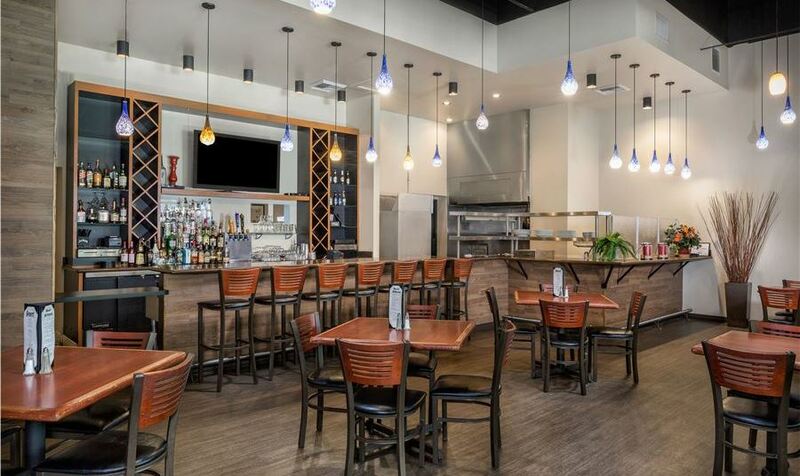 Get a front row seat for your favorite sporting event at the Oasis Kitchen and Bar. Open for dinner daily and lunch Thursday – Saturday. Order straight from your room with the Oasis Room Delivery option.